Sampsonievskiy in real time. Web cameras: Sampsonievskiy live, day and night, free, nearby: Kushelevka, Svetlanovskiy, Chernaya Rechka, Finlyandskiy, Petrogradka, Kalininskiy, Novaya Derevnya. Live webcam transmits the intersection of Investigators Avenue and Kolomyazhsky Avenue in Saint Petersburg. The camera works in real time. Investigators Avenue is a latitudinal highway in the Vyborg and Primorsky administrative districts of Saint Petersburg. Passes from Svetlanov Square to the Commandant's Square. Live webcam installed on the spire of Peter and Paul Fortress (Petropavlovka) on Zayachy Island in St. Petersburg. The camera broadcasts the view of Vasilyevsky Island in real time. Peter and Paul Fortress webcam: live from Saint-Petersburg, Russia. The Peter and Paul Fortress is the original citadel of St. Petersburg, Russia, founded by Peter the Great in 1703 and built to Domenico Trezzini's designs from 1706-1740. Wide sightseeing webcam at the Peter and Paul Fortress in Saint Petersburg, Russia. Live webcam transmits the intersection of Science Avenue and Butlerov Street in Kalininsky District of Saint Petersburg in real time. The camera is positioned on the house number 40 on Butlerov Street and directed towards the Science Avenue and the monument to the pilots of the Red Banner Baltic. Webcams, which are free for all broadcasts in real time, are installed everywhere: on the streets, in the hotels, on the promenades and the beaches, shops, airports, train stations, etc. 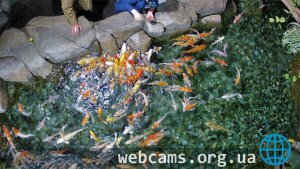 With live cams Sampsonievskiy is allways online. Kushelevka, Svetlanovskiy, Chernaya Rechka, Finlyandskiy, Petrogradka, Kalininskiy, Novaya Derevnya, Udel'naya, Akademicheskoe, Komendantsky aerodrom. 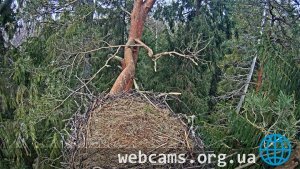 Many Russian webcams have been added. 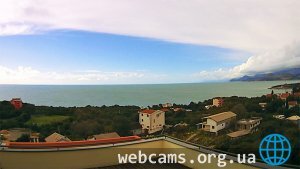 New live webcams in Gagra (Abkhazia) have been added. Live all-day broadcats have been started from the ISS: beautiful vews of the Earth from Space.